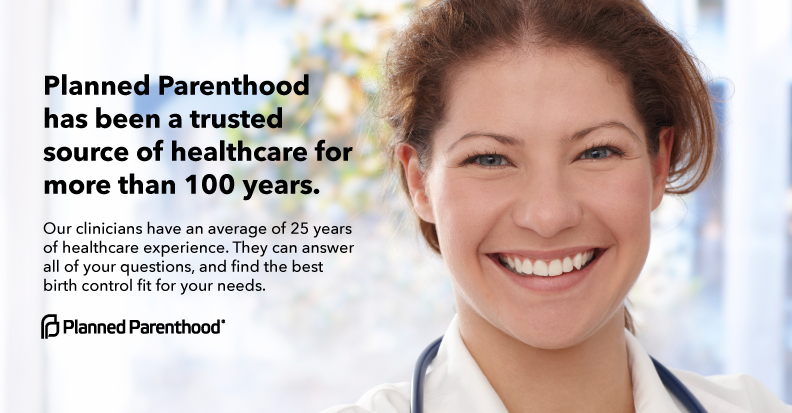 Planned Parenthood has been a trusted source of healthcare for more than 100 years. Our clinicians have an average of 25 years of healthcare experience. They can answer all of your questions, and find the best birth control fit for your needs. Same-day appointments are often available – no more waiting for weeks to see your OB/GYN.